A recent influx of young lawmakers to India’s parliament masks a lack of dynamism in an increasingly dynastic political system. Shreyasi Singh takes a look at the threat of politicians keeping it in the family, and discovers the drive for change is coming from a surprising source. Indian politics is anything but predictable, and forecasting political fortunes has generally been risky in a country that is going through such rapid change as it constantly juggles parliamentary, state, municipal and national polls to keep its gigantic democracy ticking along. Yet the awesome pace of development in this country of 1.2 billion people is being checked by something far less dynamic — the rampant rise of dynastic politics. India’s political system is replete with cases of power being viewed as a cherished family heirloom to be dusted off, polished and handed down to sons, daughters, spouses and grandchildren with little apology or embarrassment. And the phenomenon has now assumed national proportions, leaving few, if any, regions unaffected. In May, India voted into office its 15th Lok Sabha (lower house of parliament). And, on the surface, things looked like they might be changing in a country where age is usually seen as synonymous with wisdom. The 543-member Lok Sabha now has 81 members of parliament who are 40- years old or younger (although the average age of MPs remains stubbornly high at 53, despite nearly 60 per cent of the Indian population being under 35). The elections also broke new ground after an unprecedented 59 women MPs were voted in — the first time female representation in India’s highest elected body has hit double digits. But scratch away the surface of this fresh, ‘new’ parliament and a more troubling picture emerges. Of the 81 young lawmakers elected this time, 50 came from political families, with 33 of the 50 MPs following in their fathers’ footsteps into politics. Meanwhile, of the 59 women representatives, almost two-thirds have close male relatives who are politicians. Such facts come as no surprise to close watchers of Indian society, who say that the country is still trying to democratise itself, including by replacing traditional ties like family, caste and creed with modern connections such as trade unions, political parties and other representative bodies. This trend toward dynasties goes right to the very top of the country’s politics. 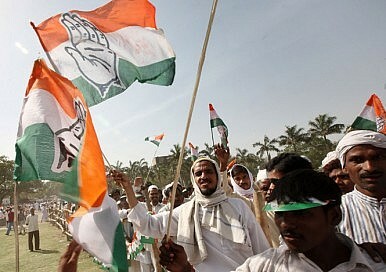 India is ruled by the Congress Party-led United Progressive Alliance (UPA), a coalition of nine political parties. Although Prime Minister Manmohan Singh, an erudite technocrat, is the head of the government, it is India’s worst kept secret that Congress Party President Sonia Gandhi, the Italian-born widow of former Prime Minister Rajiv Gandhi, is the real source of power. Rahul Gandhi, Sonia’s 38-year-old son, is also an MP and General Secretary of the Congress Party, while Rahul’s father Rajiv, paternal grandmother Indira Gandhi and great -grandfather Jawaharlal Nehru all also held the premiership. Indeed, Rahul could probably be prime minister tomorrow if he wanted, though he has indicated an apparent keenness to learn the ropes properly first. But while the Nehru-Gandhi family may be the most prominent of the nation’s political dynasties, there are countless others across the country. In Jammu & Kashmir in the country’s north, for example, the Abdullah family has managed to produce three generations of chief ministers. In Tamil Nadu in the south, meanwhile, the Marans constantly have to divide the spoils equitably between a large network of children, step-children, nephews and nieces. And in recent state elections in Western Maharashtra state, several political heirs locked horns — including Raosaheb Shekhawat, son of Indian President Pratibha Patil. The trend has set alarm bells ringing in recent months. ‘Rather than being a democracy, we’ve become an oligarchy where a political caste takes charge and then keeps everybody else out of the process,’ wrote Vir Sanghvi, one of the country’s most read political commentators, in a recent column for The Hindustan Times.